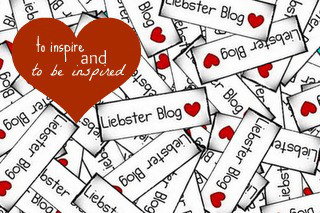 Liebster Award is given to the blogs, which have less that 200 followers. Although, I have more than that now, when Anniewhere she goes passed it on to me, I had less, so I could still qualify. I’d like to thank her for giving it to me – have a look at her blog, it’s lovely! Nominate 11 other bloggers with 200 or fewer followers and link to them. What is the place you have always wanted to visit? If given a chance to be someone else, who would you want to be (fictional/non fictional)? What part of your body would you like to change? If you were immortal, what do you imagine yourself to be/what would you be doing? I’d be travelling all over the world – so many places to see. What else do you enjoy besides your (usual) hobby? Love reading and making jewellery out of semi precious stones. If you knew the purpose of your life, would you rather pick another path (choice will be provided), or continue the same one? Oh, this is hard. I’d rather not know anything about the future. Would you prefer Diving under the sea or Space travel? And why? Diving. Space travel sounds scary to me. Who would be your favorite author and why? I love Tolkien and Bulgakov. That would be hard to choose the only one. How about this? I don’t have just one – there’re so many. Most of the songs by Cold Play, Muse, Russian singer Zemfira, Ukrainian Okean Elzi and many others. Now, I’m going to cheat again – please, guys, just use the questions above, when accepting this nomination! Share some love by visiting these wonderful blogs! Awww congrats love and thanks for nominating me.